For students at Helena High School’s computer science class, Monday morning began like any other start to the school week. 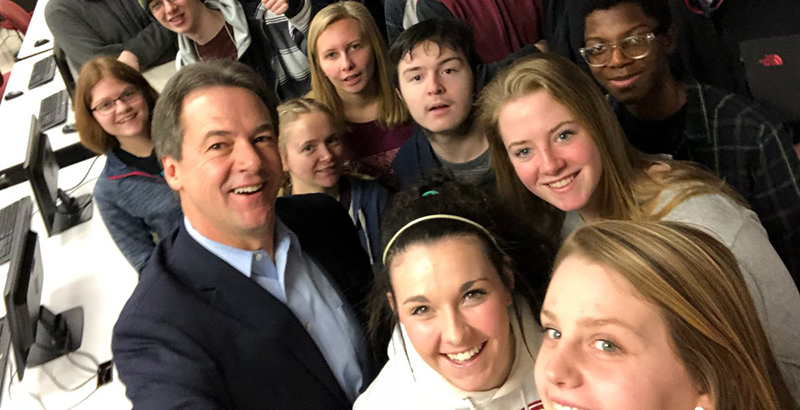 But then, with only five minutes’ notice, students in the classroom just six blocks from Montana’s state capitol looked up from their screens and got an impromptu civics lesson — from the governor himself. A month after the Federal Communications Commission dialed back Obama-era “net neutrality” rules designed to protect online consumers, Montana Gov. Steve Bullock came to class to hit back with an executive order. Bullock — a Democratic governor in a state that voted overwhelmingly for Trump in 2016 — made Montana the first state to break with the new federal rules and require all internet contracts to follow net neutrality principles. It’s possible, however, that it won’t be the last: Lawmakers in several states have already proposed legislation that would create similar rules, and 20 state attorneys general have sued the FCC over the repeal. But for Montana, there’s a hitch: The FCC said states could not create their own rules, so Bullock’s order could face legal challenges. 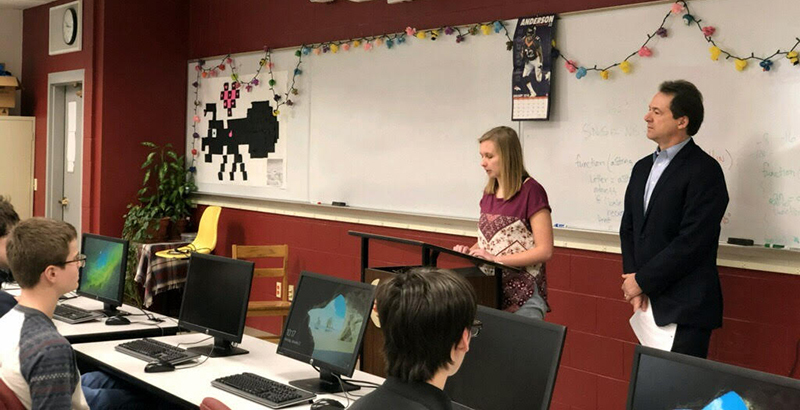 In Helena, the classroom of future coders and software engineers included student body president Bryndon Wilkerson, a senior who hopes to pursue a career in computer science. Bullock’s decision to announce the change at Helena High — from which he graduated in 1984 and which his children currently attend — comes after education advocates raised concerns about how the net neutrality repeal could affect the classroom, especially those in Montana’s remote rural corners. Adopted by the FCC in 2015, net neutrality required internet service providers — like Verizon and AT&T — to treat all web traffic the same. In December, the FCC’s five-member commission voted 3–2 along party lines to kill the rules — a decision Republicans, like FCC Chairman Ajit Pai, hail as a victory for the free market. Democrats, on the other hand, have warned that the repeal could allow internet companies to create a “tiered” system in which customers have to pay extra to access certain content. Although the repeal’s effects on teens became the focal point of Bullock’s announcement, one Helena High student likely carried the most sway: the governor’s daughter. “She wondered if there was anything he could do about it instead of just standing by and letting it happen,” said Buffy Smith, Helena High’s computer science teacher. Smith said Bullock signed the order in her classroom because of the issue’s consequences for young people.